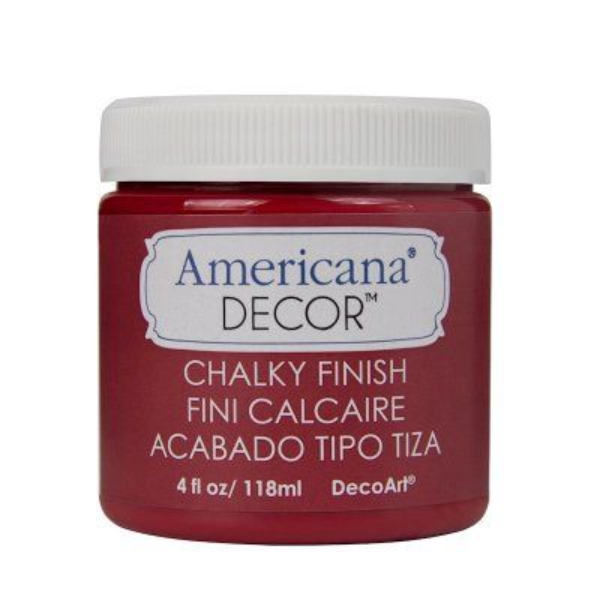 Americana Chalky Finish. An ultra matte paint that is easily distressed for a vintage look. Covers in one coat on most surfaces. Easily distressed for a vintage look. Mixable colours for a custom design. No need to prime, sand or prepare the surface in any way. Early adhesion to all prior finishes. Can be buffed to a smooth, shiny finish on its own or by using a Crème Wax. Sold as a SINGLE 4oz pot.